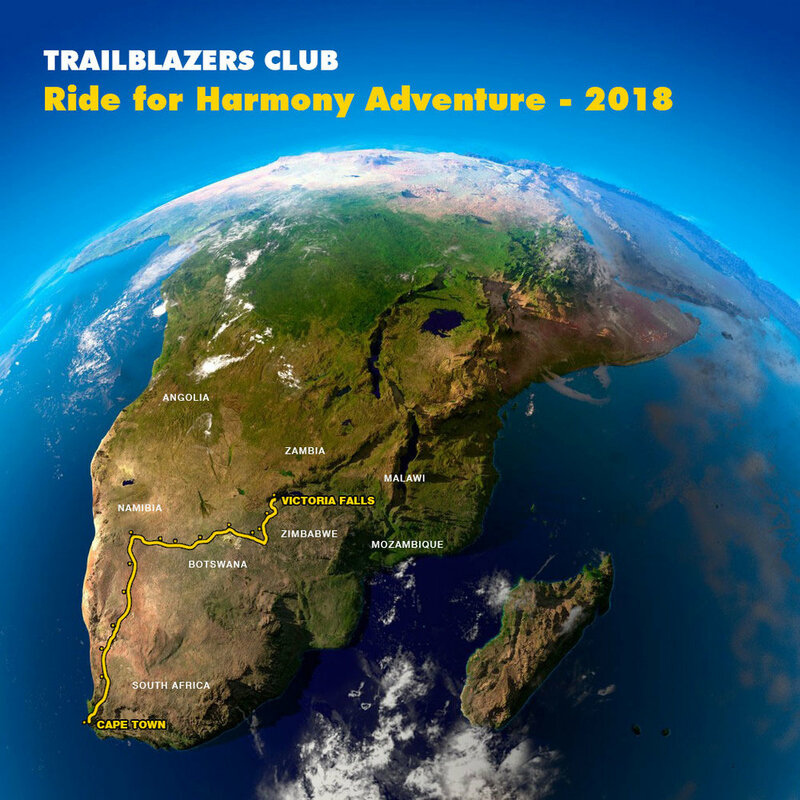 In 2018 we will be supporting Harmony with our 'Ride for Harmony' an endurance bike ride across Africa. There are currently 2.1 million young girls in South Africa living below the poverty line who are unable to afford sanitary towels. In many instances girls miss out on 60 days of school per year due to their menstrual cycle. Harmony provides the opportunity to allow girls to attend school with dignity and get a proper education through this enfranchisements aim to break the poverty cycle. We chose this adventure because we wanted to undertake one of the most challenging overland expeditions in this part of the world. It would be a fair assessment that we, as a gang of adventurers live to push personal limits and boundaries as well as explore the world very much off the beaten track. What unites all of us is our desire to change the world and make a difference. Harmony is a charity that every single member of this team feels passionately about. We choose to support Harmony because we truly felt this is a cause that can make a difference from the ground up. The enfranchisement of young women and the empowerment an education provides, is what will make a society change for the better or worse as generations grow up. If we can endeavour to make this happen by providing a more comfortable life for young girls growing up below the poverty line than that is what will be our driving force throughout this campaign and its expedition. Harmony is a South African based charity committed to real impact for young African girls providing education on puberty, hygiene, HIV/Aids, reproductive health and their rights as a woman. Harmony is a South African charity that was setup by Dawn Gottgens in 2016. Its mission statement is to empower all girls to attend school with dignity during their menstrual cycle. 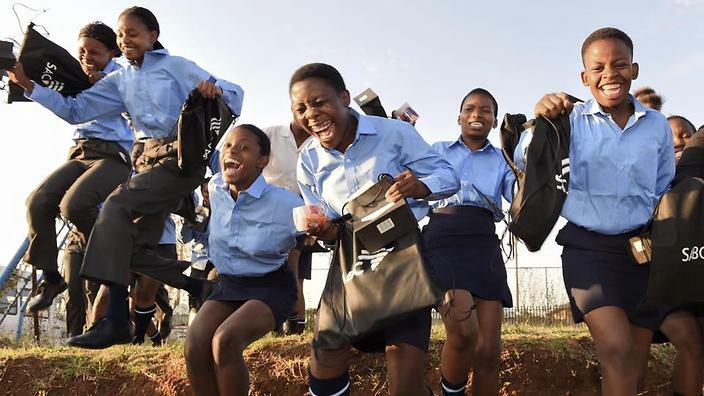 It was founded in response to findings of high levels of student absenteeism in impoverished communities due to a lack of female hygiene products.There are currently 2.1 million young girls in South Africa living below the poverty line who are unable to afford sanitary towels. In many instances girls miss out on 60 days of school per year due to their menstrual cycle. Harmony provides the opportunity to allow girls to attend school with dignity and get a proper education through this enfranchisements aim to break the poverty cycle. Harmony make a long term commitment to each girl by ensuring that throughout her education she has access to sanitary pads on a monthly basis. They are committed to visiting each school and providing education on puberty, hygiene, HIV/Aids, reproductive health and their rights as a woman. There is also an aim to employ previously unemployed South African women to assist in the packaging of the products, creating employment and empowering women. Harmony’s overall goal is to support all girls in need (2.1M) nationally by 2025. We survived snakes, scorpions, the dreaded camel spiders, electrolyte management, calorie intake, soaring temperatures, cramps and packs of wild dogs. Supporting the Young Minds charity the initial three founder members of the Trailblazers Club (Hayden, Josh, Tom) completed the 260k Wadi Rum ultra marathon across the south Jordanian desert raising £16,380 for Young Minds (100% of the money raised went to the charity). Do have a look through our GALLERY page for much more on this adventure, the event, behind the scenes, the fundraising and the process of making it happen. Young Minds is the UK based charity that is focused on real social impact on the mental well being of young vulnerable people.